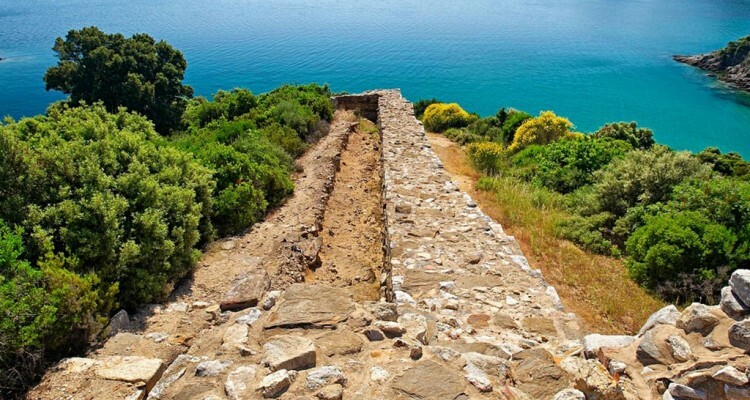 The Ancient Stagira is located about 500 m Southeast of today’s settlement of Olympiada, on a small, mountainous and beautiful peninsula, which is called Liotopi. The town took both hills, one coastal at the North and one bigger at the South, which are divided by a low neck. 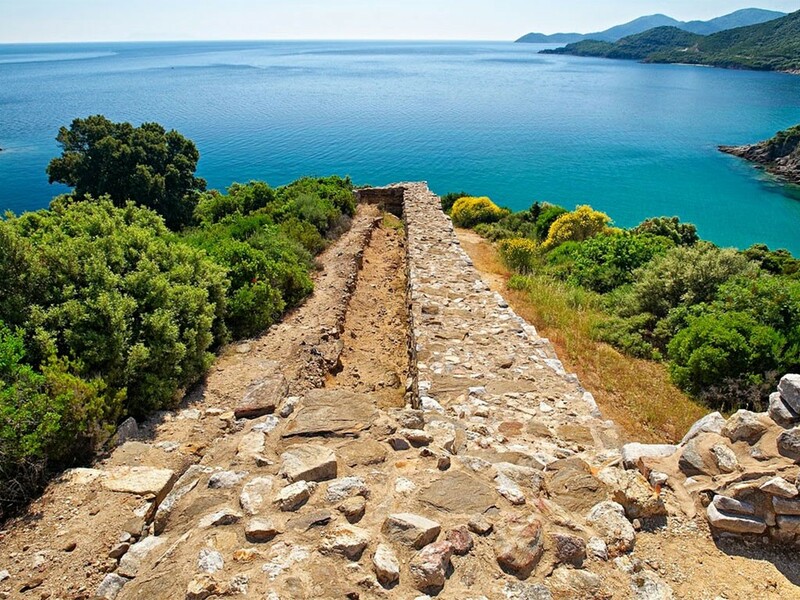 The ancient records are clear: They give the towns distance by the ancient Akanthos at the south, they mention that it was coastal, and the most important is that most of the times refer to a small island across Stageira, which was named Kapros.